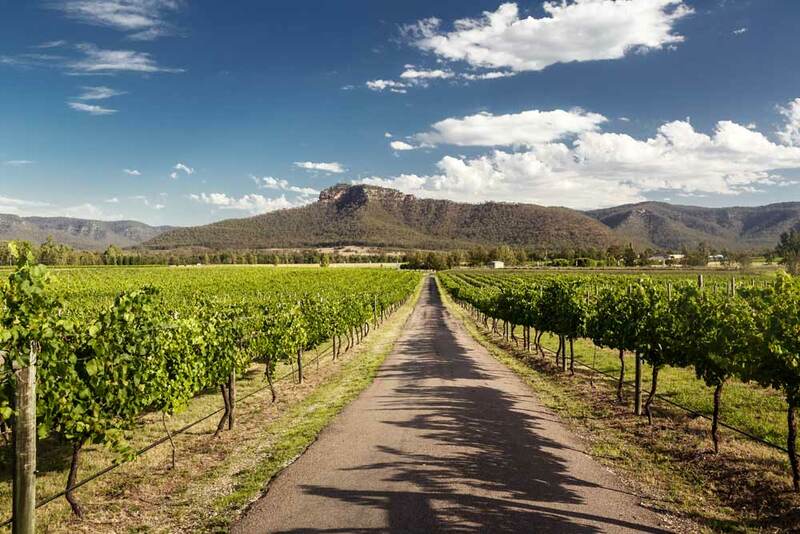 One of Australia’s most beautiful wine regions, the Hunter Valley is a must-see destination for lovers of nature, fine dining and of course world-class wine. Begin your trip in style with a hot air balloon tour. A number of companies run tours across the region, giving you the opportunity to see the sun rise as you soar on top of the world. From the sky, you’ll be treated to some truly impressive scenery, with endless rolling hills and a gorgeous coastline. Once you land, experience some of the gourmet flavours the region has to offer. Select a spot for breakfast and experience some of the most delicious cheeses, crisp fruits and fresh produce your tastebuds have encountered. In the Hunter Valley you also have the opportunity to join a wine tasting tour. There are a number of tours to choose from, but each one will take you to a handpicked selection of local wineries, allowing you to explore a number of distinct palates and tastes. The award-winning wine region is especially known for its Semillon and Shiraz – two varietals that thrive in the cooler climates of the Hunter Valley. At each cellar door, the sommeliers will impress you with their extensive knowledge of wine, and you can also treat yourself by taking away a bottle or two. It’s not just wine that the region is known for. Located right on the coast, the Hunter Valley boasts numerous sandy beaches and beautiful cliff faces that are a delight to explore. Much of the area remains untouched, so you’ll get to experience nature as it was intended. If you are staying in the north of the region, try the Great North Walk located near Cessnock. For those further south, towards Newcastle, the Watagans State Forest Scenic Trail Walks offer a variety of tracks suitable for any fitness level.